Fortnite Season 7 has kicked off and with the new season come some cool goodies for players to enjoy. 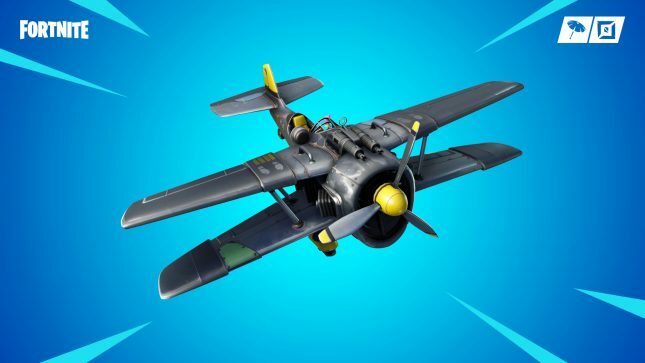 One of the coolest is a new airplane you can use to rain death from above on enemies called the X-4 Stormwing Plane, and it holds five people. That airplane is only available in Battle Royale mode. Wraps are available in Battle Royale mode that can be unlocked as the Battle Pass is leveled up. The wraps let you wrap vehicles, weapons, and other items. Canny Valley Act 3 is available in Save the World mode with new quests, new areas, and a Mythic reward is available as the Stand and Fight campaign comes to a close. Season 7 also brings with it some general upgrades and changes. Among those is an improved data layout on Xbox One for improved loading times and reduced building streaming issues in Battle Royale mode. Another update makes balloons lift players off the ground when a third balloon is attached. Get all the details in the patch notes.